I was converted at the age of 22 in the midst of a self-absorbed, sinful and godless life. I can still remember the Lord’s kind gift of repentance, causing me to forsake my life of sin and cling to Christ as my only hope. He graciously redirected my worship of me to worship of Him and grew in me a desire to know His Word. Aaron Wilson joined the staff of Keltys in August 2012. 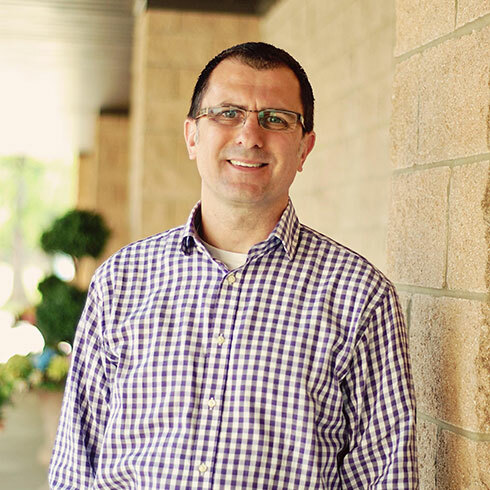 For the previous ten years before arriving at Keltys, he served at the Bible Church of Little Rock in children’s ministry as well as college & adult ministries. He also served for seven years on the staff of Family Life Today working with the national radio broadcast of Revive Our Hearts (Nancy Leigh Demoss). Aaron received his BS in Bible from Central Baptist College and is currently pursuing his Mdiv at the BMA Theological Seminary in Jacksonville, Texas. Aaron and his wife, Anita, have four children and enjoy reading, photography, blogging, collecting vintage games & toys, being outdoors and cheering for the Arkansas Razorbacks. "The saying is trustworthy and deserving of full acceptance, that Christ Jesus came into the world to save sinners, of whom I am the foremost."